Grey Ridge is a small boutique vineyard near Alexandra with wonderful views in every direction. Our vines are purely Pinot Noir and alongside the traditional (and gold medal winning) Pinot Noir, our wine maker creates both a White Pinot Noir and a Pinot Rosé. All of our wine is made entirely from Grey Ridge grapes which are hand-picked from the hand-tended vines, thus ensuring that the fruit is delivered to the wine-maker in the best possible condition. Our philosophy of quality rather than quantity extends from the vines right through to the accommodtion experience that we offer at Grey Ridge. 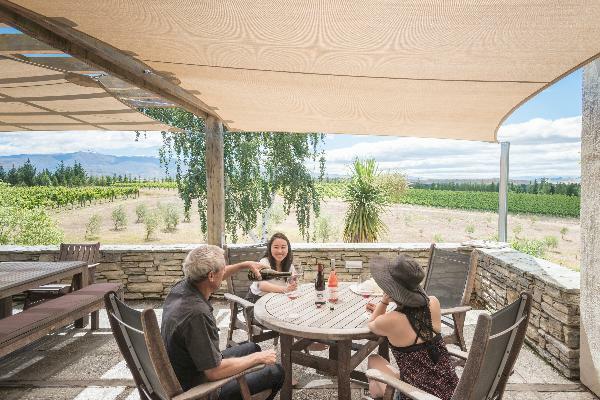 At the Grey Ridge cellar door we offer a personal touch - tasting with one of the owners, the chance to ask questions about the wines and the vineyard, and the opportunity to relax and take in the gorgeous views, as you decide which wines to buy. Come and visit!